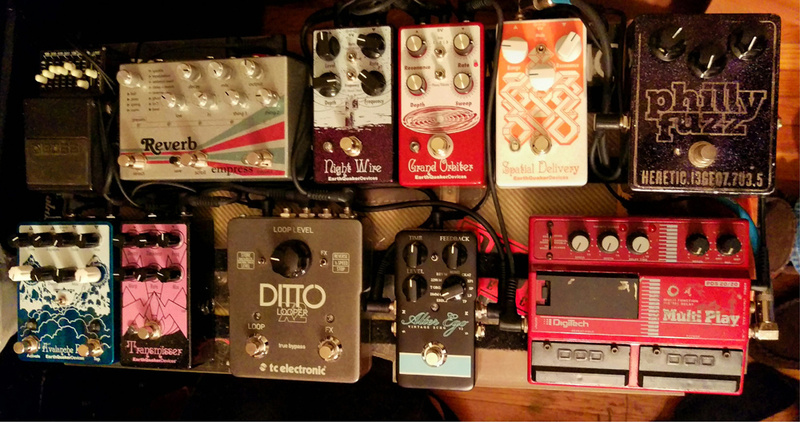 Home Pedal Line Friday – 3/31 – Mark R.
Today’s Pedal Line Friday submission is from Mark R. If you have a pedal line (doesn’t have to be in a board) for your rig, please email me a photo, bio, description of pedals and routing to pedalline@nulleffectsbay.com. Every Friday I’ll showcase a pedal line submission. Make sure you include any links to your band or music page. I recently purged my pedal collection and traded in around 30 boxes to upgrade my rig.